A well-looked after garden says a lot about a home. If you like to add beauty and value to your lawn, we’re the company for you. 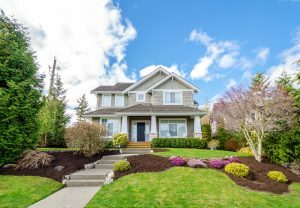 Read on to find out why you should use a landscaping service. If you lack ideas when it comes to your garden, then enlist the help of professionals who will be able to work wonders on your landscape. Not only do professional landscapers from Blooms Landcare bring years of experience to their work, they also bring their creative ideas to life when it comes to sprucing up your garden. It doesn’t matter where you shop, you won’t be able to beat the high quality materials that professional landscapers use. When it comes to top-notch gardening tools, it also helps that there are experienced professionals handling them. Professional landscapers will know exactly what materials to use on your yard. You don’t have to worry about the wrong brand or material being used, as this simply won’t happen. Our landscapers are highly trained and professional, and they have racked up years of experience in this industry. You won’t be disappointed with Blooms Landcare. When you use a qualified landscaping service, you’ll notice the years of experience through their craftsmanship. These highly talented individuals each have specific areas of expertise across the board, so we have something for everyone. If you’ve decided to employ a landscaping service, you should get in touch and contact us at Blooms Landcare at (817) 688-5352. When you choose us to design your landscape, you’ll receive a professional service for every aspect of the job. From the stunning end result to the quality of the service, you’ll be glad you chose a professional landscaping service. Get in touch to find out more!